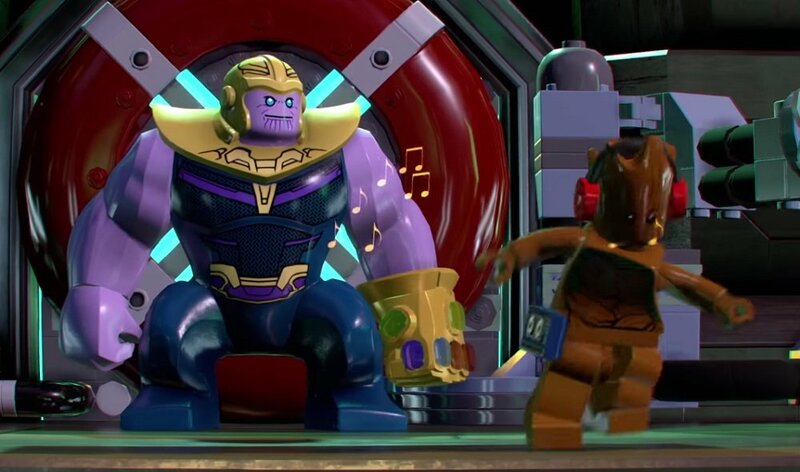 Avengers: Infinity War may not be quite on the silver screen just yet, but that still can't stop you from leaping into the thick of battle in LEGO form, as Warner Bros. have released new DLC for LEGO Marvel Super Heroes 2 featuring characters and locations from the movie. The Avengers: Infinity War Character and Level Pack includes new mini (and maxi) figs of Josh Brolin's Thanos, along with Black Order members Proxima Midnight, Cull Obsidian, Corvius Glaive and Ebony Maw. On the side of good, we also get Teenage Groot and the Hulkbuster 2.0 armour. Also included is a new level to run your cast of super heroes (and villains) through. You won't have to be as rich as Tony Stark to join in the fun either, as the DLC pack is priced at around $3. LEGO Marvel Super Heroes 2 is available now on PS4, PC, Nintendo Switch and Xbox One.